Instead, it’s a local multiplayer game – no online – with an “ideal” player count around four people. There are elements of card games, but there’s no mana or land system taking well out of the Hearthstone or Magic genre. It’s turn-based, though McMillen says it’s not turn-based in the same vein as XCOM. “Some aspects can be compared” to Mario Party, as well. It’s also not a direct sequel, and takes place around the original game’s ending. Check out the greatest from small developers with the best indie games on PC. 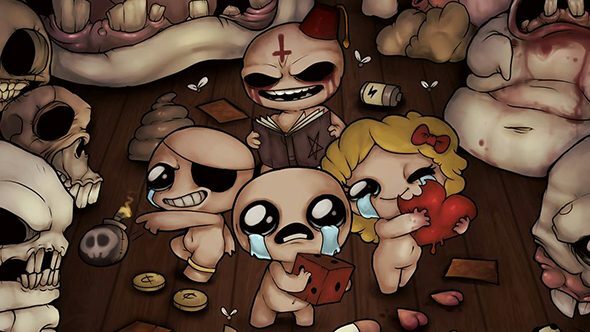 Whatever this new multiplayer on Binding of Isaac actually is, it’s set to be unveiled – or perhaps released – this Wednesday. McMillen does also say “probably” to a question about whether this game is capable of ending friendships, so watch out for that if you convince some friends to join you. Or, you could take advantage of that fact to end any unhealthy relationships you might currently be caught up in. Quite a useful feature.